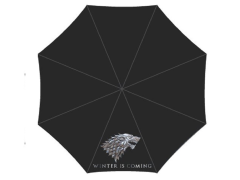 This umbrella from the hit HBO television series Game of Thrones features a Stark sigil on the canopy and a 3D molded Longclaw sword handle. The umbrella's canopy measures 36 inches (91.44cm) and is sure to keep you dry as you spend your days and nights guarding the wall. Also included with the umbrella is a bag with a strap for carrying the umbrella when it's not in use. 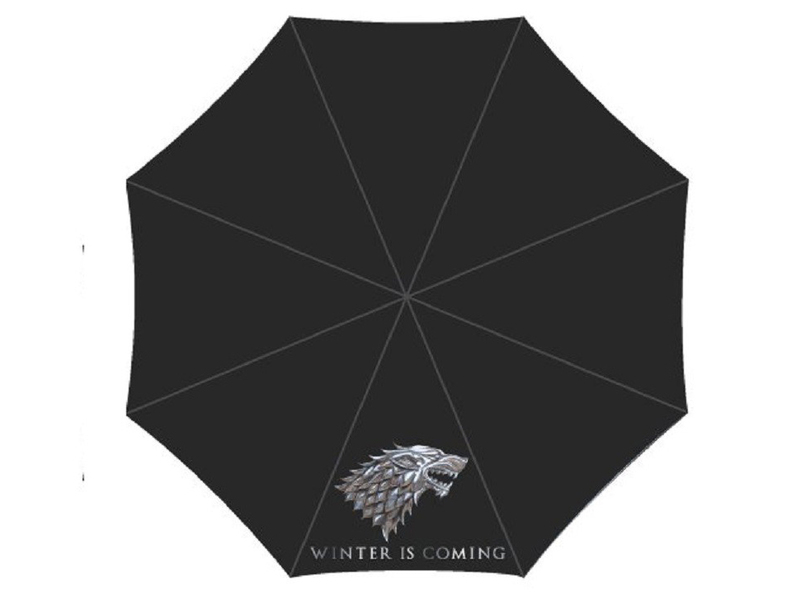 Allthough winter may be coming, this umbrella would be come in handy during any of the seasons in Westeros.